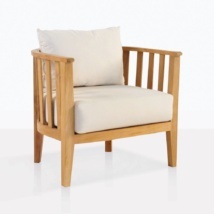 Charter a trip into relaxation with the beautiful Charter Teak Outdoor Chair. Part of the nautical series at Teak Warehouse; the charismatic Charter Teak Outdoor Chair simply invites you to sit back in the peace of your own surroundings. 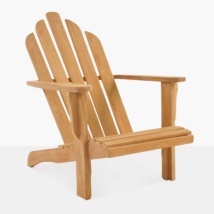 Relax on-board or on-land in this luxurious A-Grade teak tub style chair with plush Sunbrella® cushions. The Charter Teak Outdoor Chair features a 32 by 28.5 inch rounded frame and elegant slats running vertically down the piece, complete with a comfortable half moon shaped base Sunbrella® cushion with a lovely, big back cushion for extra luxury! W34.5" x D32" x H35"
The Charter Teak Outdoor Chair is constructed from superb A-Grade Teak, sought after for its high levels of natural rubber and oil, with the addition of plush Sunbrella® cushions guarantees a high quality product that will last for years to come!Teak is only ever given the A-Grade name when it is the heartwood of the teak tree. We use only the best Javanese Old-growth Teak to ensure this is the best of the best and sustainable. 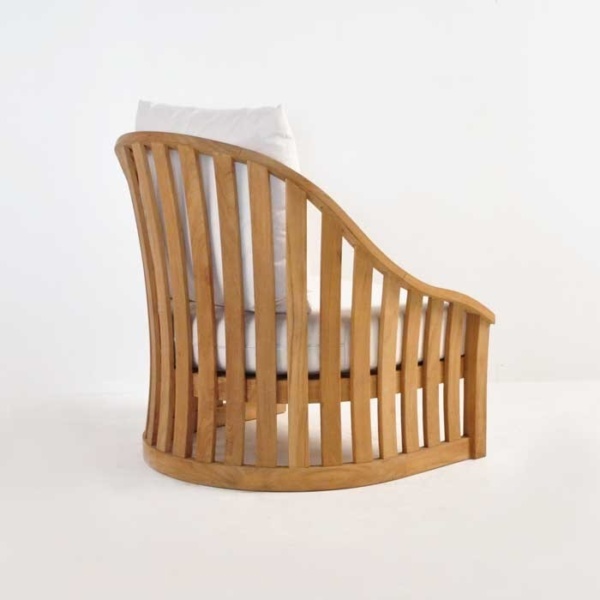 If you like the Charter Teak Outdoor Chair but are interested in exploring other materials, then look into the 700 plus products we have on our website! 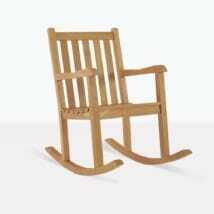 We specialize in all things outdoor furniture. From products made lovingly with #316 Stainless Steel and Batyline® mesh, to Reclaimed Teak Tables, Benches and Deep Seating, to Raw Concrete Dining Sets, planters and pots. We really do have everything for every home! Want a spot to enjoy the afternoon sun with your favorite person? Purchase two Charter Teak Outdoor Chairs for use on your sun lit patio, on either side of a Nesting Teak Table, with a 9ft Sunbrella Umbrella in your choice of color in between the chairs and get ready to relax in style. 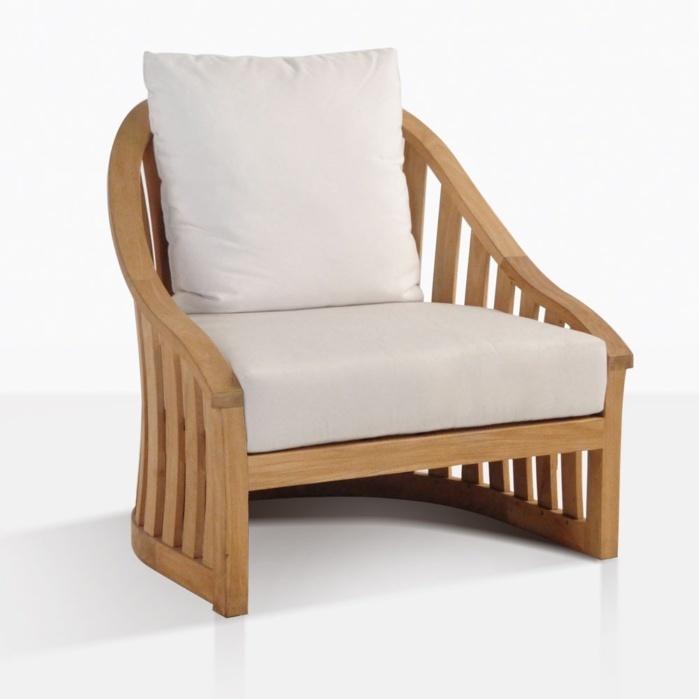 This excellent tub style Charter Teak Outdoor Chair is a wonderful piece of furniture to line the sides of your swimming pool because of its robust material coupled with its elegant and low lying frame. Place one of the unique Charter Teak Outdoor Chair under your cabana with a Stainless Steel and Teak Side Table for a contemporary addition to this classic model! You will love the mix of A-Grade Teak with #316 Marine Grade Stainless Steel, modern and effortless. Place a cool drink and your current read down and get ready to relax in the serenity of your surroundings. 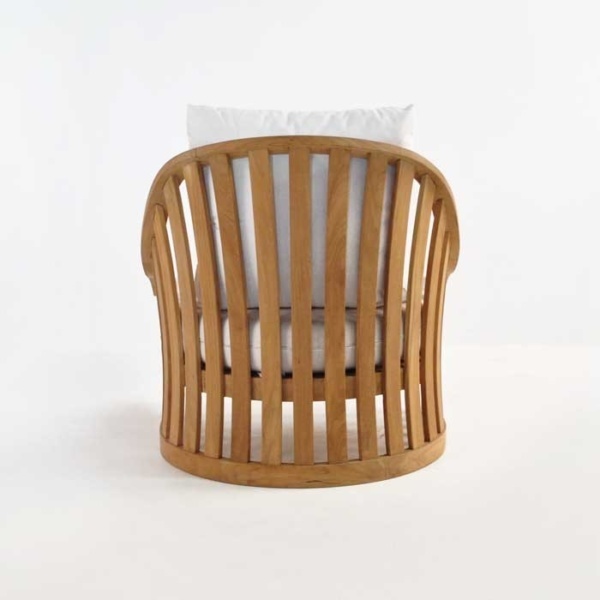 We may joke, but the Charter Teak Outdoor Chair is superb for use on your yacht or boat – it’s low height wont mess with the view and it’s solid frame will keep you comfortably stationary on the rocking waves. 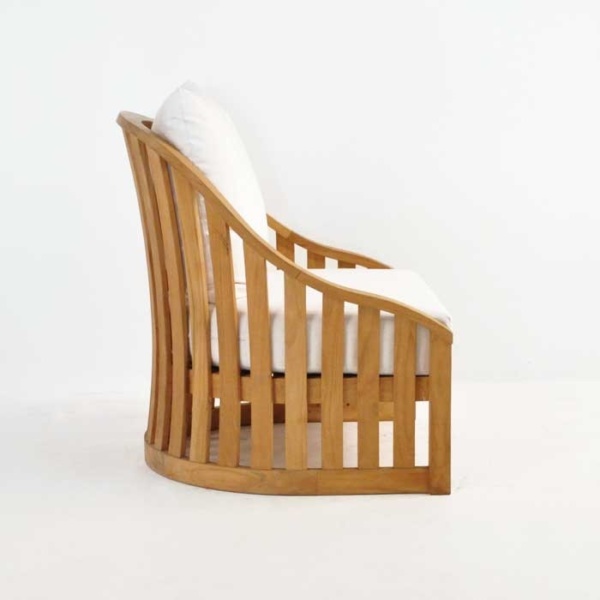 If you would like more ideas or options for this fabulous tub style chair, then call us today! Our sales staff are in store 7 days a week to help you with all your furniture needs. So pop in, email or query via our 1-800 line! We will help you configure your space to your taste! 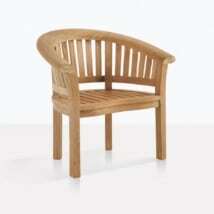 The Charter Teak Outdoor Chair is in store now, assembled and ready for pickup or delivery! It’s beautiful, classic style is looking for a place in your home!